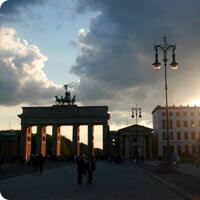 Take an unforgettable vacation through Europe and visiting Berlin (a cultural powerhouse in east Germany; despite its gloomy communist era past it is leading the world in theater, art and music) as well as Prague, Budapest, Krakow and Warsaw. Traveling between cities using trains. This is a flexible vacation package. Select your number of nights in the city, desired hotel and activities. City of music, cafes, waltzes, parks, pastries, and wine - that`s Vienna in a nutshell. Vienna doesn`t hurry, and, as you saunter through its stately streets, marveling at its Baroque palaces, neither should you. Explore churches filled with statues of golden saints and pink-cheeked cherubs, wander through treasure-packed museums, or while away an afternoon in one of those countless meccas of mocha (the inevitable cafés), you will feel lapped in lashings of rich, delicious, whipped cream - the beloved Schlagobers that garnishes most Viennese pastries. The Hofburg Palace, Schonbrunn Palace, Staatsoper, Kumsthistorisches Museum, the MuseumsQuartier Complex, St. Stephan's Cathedral, the Belvedere Palace, The Ringstrasse, Parlament, The Prater and so much more! Two cities in one! Buda on a hill, historical part of the city and Pest on a plain its shops and boulevards both separated by the Danube flowing between them and connected by magnificent bridges. Budapest looks its most beautiful at dawn, yet it is also spectacularly appealing at night. With a unique, youthful atmosphere, a world-class classical music scene as well as a pulsating night life and an exceptionally rich offering of natural thermal baths, Budapest is one of Europe`s most delightful and enjoyable cities. This is a vibrant city: it throbs with life morning, noon and night; a remarkable and wholly unpretentious place. Buda Hill and the Castle District, Parliament, the Chain Bridge, Heroes' Square, St. Stephen's Basilica, the Opera House, Matthias Church, Fisherman's Bastion, Gellert Hill, the thermal baths and so much more! Krakow is one of the oldest cities in Poland and one of the cultural and artistic centers of the country, the former seat of the Polish kings and the former national capital. Among the hightlights of the city are: the Royal Castle and Cathedral on Wawel Hill; the medieval Old Town with its beautiful Main Square; the 14th-century buildings of the Jagiellonian University; as well as Kazimierz, the historical centre of Krakow's Jewish religious and social life. Main Square, St. Mary`s Basilica, Wawel Cathedral, The Cloth Hall, Planty Park, Kazimierz, Ghetto Heroes Square, Collegium Maius, National Museum, St. Florian`s Gate, and so much more! Hungary is an astonishing country brimmed with culture and natural beauty. The treasures of their culture have drawn travelers from distant lands throughout the centuries. After Iceland, Hungary has the world's largest reserve of surface thermal water. Thousands who seek rest and rejuvenation turn to the country's innumerable thermal spas, famous for their natural healing spring water. 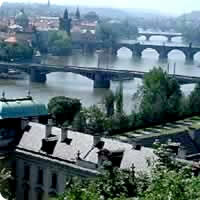 In the countryside you'll find majestic plains, resort-lined lakes, baroque towns, horse markets and rustic villages. Lake Balaton, Central Europe's largest lake, is a favorite get-away for families with young children, fans of yachting, and lovers of the beach. 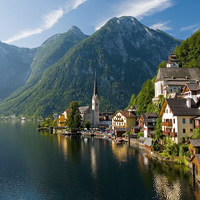 Austria is more epitomized by green glacial valleys and snow-capped peaks - and the wooden picture postcard chalets. Nonetheless, visitors have much to explore from the stylish capital, Vienna, to the baroque splendor of Salzburg. Austria's mountain landscape is undoubtedly its biggest draw for tourists. Although a year-round destination, there is a definite seasonal split in visitors. Summer is best for exploring the countryside on the many mountain trails that snake through the Austrian Alps and the lowlands, while the ski season kicks off in December, attracting winter sports fans from all over the world.